Attending Blog Paws last year was a pivotal moment in my blogging journey. I met my tribe. Dog and cat lovers who unselfishly share their stories, tips, hacks and lessons with their readers. 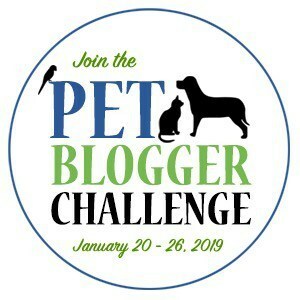 So when Amy with GoPetFriendly announced her 2019 Pet Blogger Challenge I said “yes please”. Each blogger is challenged to answer the same set of questions. This is the 9th year fellow bloggers have come together and the first year I’ve participated. Blogging can be a lonely journey. And it can be overwhelming because you’re the author, the photographer, the SEO specialist, the publicist, the social media expert, and technical person. Basically a company of one. But the great thing about bloggers is we bond together and support each other in our journey. 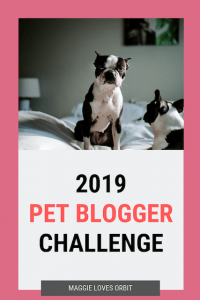 If you’re a pet blogger I encourage you to join in on the annual challenge by answering the same 10 questions. At the very least you can read through our fellow pet blogger posts feel rest assured you are not alone. My first post was June 11, 2016. [Gifts From New Zealand • Maggielovesorbit.com]. It wasn’t even much of an article. It was a photo and a few sentences. At that time I did not have any specific goals. I just wanted a place for photos I didn’t use for Instagram. My publishing schedule was almost non existent and I didn’t even have Google Analytics plugged in until the first of last year. 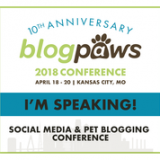 I was chosen to speak on a panel at the 2018 Blog Paws Conference. The topic – Instagram. The best part was I got to meet my virtual Instagram/blogger friends who were co-panelists. My site was hacked right before Global Pet Expo. It was so bad that Google took it down. 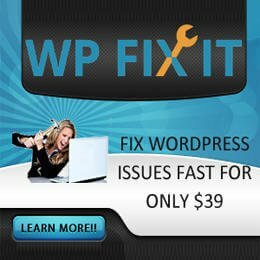 Luckily I found a programmer to fix it (thank you WPFIXit) and get me back up and running in 48 hours. I’ve used them at least 4 other times since then for various projects. I can’t recommend them enough. 4. Which of your 2018 blog posts was your favorite and why? A friend whom we walk with has a dog that lost his fur. It happened over the course of half a year and we would walk and talk about how all of his tests were doing. In addition to that we’d scrutinize his fur to see if he was losing more or if the treatments were working. After many vet visits they finally attributed it to her menopause cream. Even though the article doesn’t get a lot of traffic, it means the most to me because within 6 months after they diagnosed it his fur came back. I wrote the article because I want to help other women who may encounter this with their dog. The article is about how Estrogen can cause your dog to lose its fur. I have two articles about how to find the right dog hashtags on Instagram. Those two posts do extremely well. It’s a technique I use for myself for @maggielovesorbit and @barkcommunity. I discovered the power of Pinterest. I was casually saving pins whenever I thought of it. My traffic was about 5K per month and then I learned how to use it and now my Pinterest traffic is up to 222K per month. I’d like to prioritize Pinterest over Instagram in 2019. After SEO it drives the most traffic to my blog. Readers who come to Pinterest are looking for content. Followers on Instagram are really just there to be entertained. I do use the story swipe up feature a few times per week but for the most part followers don’t want to leave the platform – they want to continue to use Instagram. I’d like to increase my viewership to at least 30K sessions per month. That puts me over the threshold needed to qualify for Mediavine. Improving my storytelling skills is where I think the growth will come from. I think I get too caught up in the technical or what to write for SEO …which is important … don’t get me wrong but I think equally as important is improving my ability to write stories that people want to read. And have a blog that people want to return back to. I found a blog like that the other day. I’ve read Patricia McConnell’s book “The Other End Of the Leash” many moons ago …. I did not realize she has a blog. Upon discovering it (as in yesterday) … I willingly entered her rabbit hole and I stayed there. I found myself returning to her blog in all my free time. While I was waiting for the ribs to cook. After the kitchen was clean and the house had gotten quiet. Last night I woke up at 3am and couldn’t sleep. I had to read more. For a minute I reflected on my obsession. My dog is reactive and it puzzles me to no end trying to figure her out. In any event she is a behaviorist and has countless of articles on various issues related to it and surrounding it. In any event … I realized when you’re a great storyteller and relatable, whatever message you’re communicating is very easy to digest. And that’s the type of writer I would like to be. My 2019 goal is to write two articles per week to total 104 for the year. Some weeks might be less and some might be more but by the end of each month I need to publish 8 quality blog articles. It’s going to take discipline to write meet those goals. And as for writing… instead of spending hours in free workshops and courses and seminars … I realized I just have to surrender myself to the process. To not be so afraid to tap on the keyboard and let the thoughts in my head materialize. 10. Now it’s your turn! How can we help? Is there an area where you could use some advice, or an aspect of your blog that you’d like input on? Share it here, and we’ll answer you in comments! So I’d like to know from my fellow bloggers …. Do you sleep? How much coffee do you drink? What time does your brain wake up? All kidding aside … I’d like to learn who your top resource has been for SEO and your best tip would be? 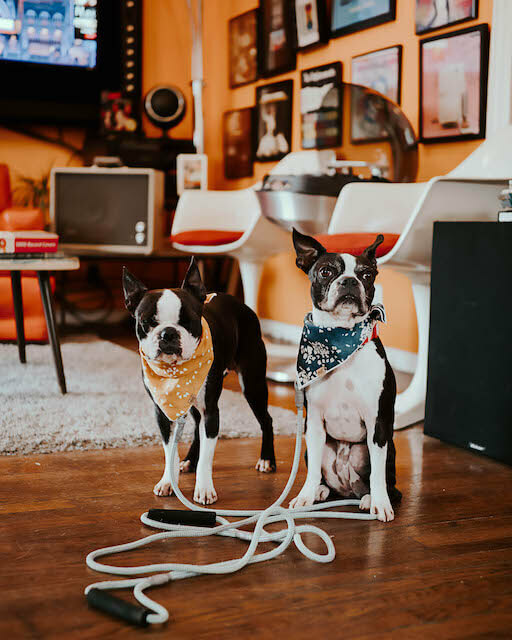 If you can help a fellow pet blogger out leave me a comment below. And because a post would not be complete without a photo. Here’s a photo of my two, Orbit on the left and Maggie on the right taken during yesterday morning’s urban walkabout. The rest of the photos from this walk can be seen on our Instagram post. I totally get the rabbit hole effect. I’ve found blogs like that. I’d love to have a blog like that too! Your numbers floored me. GOOD FOR YOU! Apparently I don’t know how to work Pinterest. Or Instagram. Or hashtags. That’s awesome you were able to bump your Pinterest traffic from 5K to 222K! Congratulations! I have a bunch of SEO blogs in my feed reader and browse all the feeds several times a week. There’s probably a dozen or more blogs. a few of my favorites are moz, Neil Patel, and backlinko. I am so glad I got to spend some in person time with you in 2018 and continue to keep in touch. You are a force to be reckoned with and I always learn about IG from you. I wish we had connected at BlogPaws! I love reading your blog, and seeing its growth (so quick!). My blog is also fairly new, and you’re totally right about being a company of one and having it feel lonely at times. Re: SEO, a month or two ago I discovered Stupid Simple SEO. They only open the course up a few times a year, so I haven’t had a chance to purchase it, but the free tips alone have been of great help to me. Best of luck in 2019! Thanks so much for joining the Challenge! I’m really sorry to hear that your blog was hacked. That happened to me once and it was a nightmare! I’m glad to hear you were back up and running again so quickly. For SEO, I got a basic subscription to SerpStat through an offer from AppSumo. I get a set number of searches per day, but it’s enough to check to see which terms do better on a particular topic. 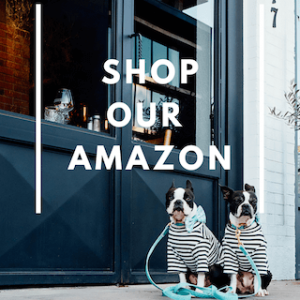 (Would you have guessed pet travel accessories is a more popular search than pet travel gear?) Sometimes it’s just easier to have the numbers in front of you than try to imagine how people might be searching. Hannah – love this! I’m so happy we got to connect more in 2018. Loving the goals you have for blogging twice a week. I want to shoot for publishing 1 really good optimized post per week (plus 1 podcast shownotes post per week). For SEO tips, I recently hired someone and the biggest takeaway was internal links. Link your own blog posts to each other as much as you can and it can keep people on your site longer and make google think your content is more reputable. Aw thank you Tori. Sorry I just saw this. Blogging is still so new to me I forget to look at my comments because 99.99% of the time it’s all the spam. But I’m learning now to read the comments. So excited for your own journey and your podcast. Here’s to a great 2019 for all of us. I’m new to your blog through the blogger challenge–and now that I know you’re a reactive dog mama, too, I’ll definitely be returning! Patricia McConnell is amazing, isn’t she? Looking forward to browsing your blog! So I’ve already bookmarked your Instagram posts so I can delve in later. You have such a good attitude about creating quality content. For those of us who have been blogging longer, it can be really tough to integrate SEO and marketing into our writing. You started at a good time to integrate everything at once. I’m pivoting my blog in a new direction. So I found it helpful to get professional mentoring from Jessica of You Did What With Your Wiener (since you love #adventuredogs, I presume you know them well). It was really helpful to get an outside perspective. Now I just need to implement all I learned. I had the same Pinterest revelation this year! And yep, it is a game changer. Here are a few of my thoughts on storytelling, SEO, and getting more readers to want to read your content. I break my readers in two categories – the loyal followers who will read anything I post, comment, and keep coming back. I treat this group like friends and I know they come for the stories. They have invested in me and I try to invest in them. I use my rescue oriented posts to draw in new readers. These posts are the ones I’m doing more SEO work with, sharing, etc. The hope always is that some of this group will become regulars. I always try to be authentic, but I do think of these groups separately. Regardless, I always start with the story first and then work with the SEO. I know I am probably different than most bloggers, but I’m all about the stories. There are some posts I just write because I want to write them and know my regular readers will enjoy them. I don’t worry about SEO, but write from the heart and sometimes these are the ones that go big. I have also been pleasantly surprised that some of my more personal story posts are big on Pinterest. Hi!! I’ve been a fan of this blog when I first searching for personal blogs about dogs & maggieslovesorbit keeps popping up! So you are definitely being found in the search engines. Hoping one day to reach your IG level 🙂 I do love IG and the entertainment aspect and I feel the same when I started a blog – where else to put all my other photos?? Thank you so much for your comment. It got lost in all the spam comments that I was procrastinating on cleaning out. I’m still new-ish myself and learn every day!!!! I think SEO for sure is the biggest skill to master. I see the most results each time I apply what I have learned. Good luck on your blogging journey. I just discovered your blog through the blog hop and it looks like you’re doing awesome! I love Patricia McConnell’s writing too and like you said, I struggle with balancing SEO and writing for my audience with my voice/stories. My site gets most of its traffic from Google as well. I’m sure you already know all of my tips but I try to just answer questions people have and then write interesting, detailed responses to those questions with a good title. 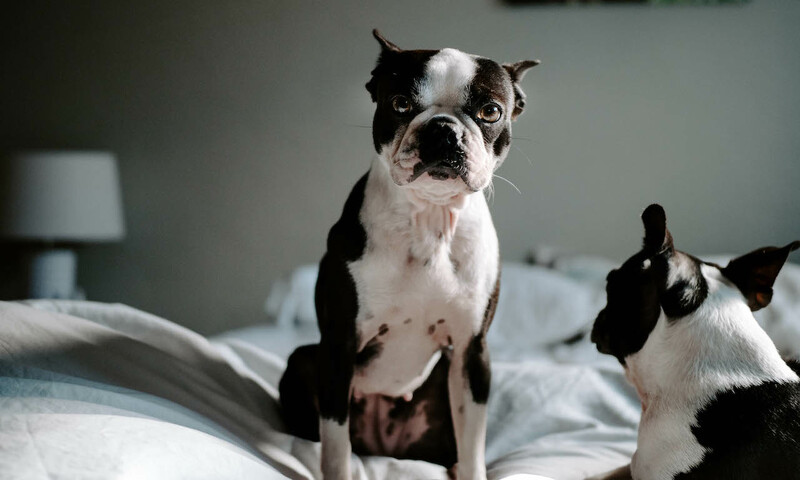 I just read your “how to stop your boston terrier from barking at the doorbell post” and that is exactly what I mean. In that particular post, I thought you could definitely link out to more of your other training posts where it makes sense. So, no,I don’t sleep and my brain wakes me up around 6am. Not too terribly early. Asfar as SEO, I’ve been using SEM Rush and it’s been super helpful. It tells me the keywords I need to use. I also don’t usually write the content I want to write, but rather the content that my readers want. It’s hard to give that up, sometimes, but our blogs aren’t for us anymore, they’re for our readers. Your blog is a treasure trove of information! I love following Maggie and Orbit on Instagram, but somehow I’ve missed your blog. Your Pinterest growth is amazing. Your site was one of the first that I fell in love with when I started my new business and blog. I also have a reactive dog and absolutely adore Patricia McConnell! Her story telling is captivating and addicting – so I have no questions about what drew you to her – even at 3am! I just decided to join the blog hop and got in just at the last minute! Thanks for the inspiration! Hi Michelle – I can’t believe I just saw your comment. I am so glad you decided to join the blog hop. Big hugs. SEO is something we can do ourselves by reading and trying. If people have money to spare they can invest in qualified help.My SEO is not brilliant but I keep trying. I remember life before Google, it was fun. My goals for posting are similar. a series of quality posts for my niche but the focus should be on quality, not the sheer number of posts. Oh and cute pictures like yours help too! People love a cute pet! If I only take away one thing from this Challenge that helps me in the coming year, I’m happy. I am so glad to have learned the differences in how Instagram and Pinterest work, and to now know where to focus. Did you take a course to learn how to use Pinterest better – or just do some research online? Anyway, your numbers are so impressive! Imagine what they’ll be when you focus on it! I only skim the surface of SEO, but I learned the most about it from Jill Caren in a class at BlogPaws 2017. For Pinterest I started reading all of the Tailwind blog articles and listening to a few podcasts here and there. I did invest in Tailwind which helped. I did not take the course. I always feel that I need to apply and exhaust all the free articles and lessons until I pay. So far it’s been trending up if I plateau then I might take a course. I’m sorry that I didn’t make the last BlogPaws conference. Had I known how it would turn out, I’d have tried to make at least one day to say good-bye to everyone in person. I am still working to grow my Instagram page so I will follow you to learn more! have a great 2019. Ugh I’m sorry to hear your website was hacked! I’ve been lucky so far to not have it happen to me, but it’s for sure something I worry about. 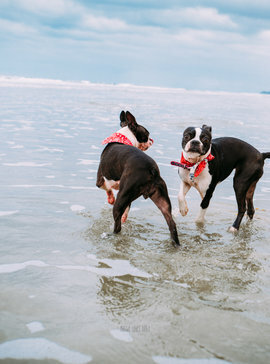 I’m just finding you for the first time via the blog hop but will for sure go check out some of your past posts, especially Instagram tips and reactive dog posts. I have a little 10 lb fear reactive boy. Best wishes for an amazing 2019!